benwallace13.com: Cottage I'd Love In England | My blog for not very considered, personal thoughts that I write, but any can read. I am a hermit. I'd love a little cottage like this. 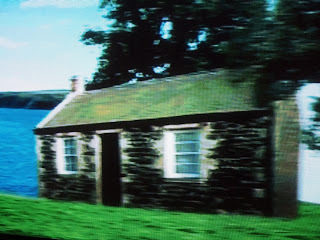 Photo is appalling quality because taken off the telly. I have no idea where in England it is, may even be in Wales or Scotland. Willing to cottage sit if you have one. Putting TheDUDE At Cafe(s) - EEK! Why Are Free Templates Always So Awful? !